Announcing dbus-deviation, a small tool and set of libraries for automatically checking whether a D-Bus interface has broken API between two releases of a piece of software, developed as part of my work at Collabora. If you have a large software project, worked on by multiple developers, it might not be clear when D-Bus interfaces change. For example, they might be pulled in from another repository, or might be accidentally changed without anyone noticing. Breaks in the D-Bus API of a project (when it’s supposed to be stable) are potentially worse than breaks in its C API, because they can only be detected at runtime — when client applications suddenly error out half-way through an operation because they’ve called a D-Bus method with the wrong argument type. At least with C API breaks, the compiler will catch the break. dbus-deviation provides a utility called dbus-interface-diff, plus some GNU Make glue to plug it into your build system. It only works with git: for each tagged release of your project, it uses git-notes to store copies of all the D-Bus interfaces you care about, in their state at the time of that release. They’re stored as introspection XML; if you have that XML committed into the repository anyway, the git-note becomes a ref to the existing file blob, and takes up virtually no space at all. The dbus-interface-diff tool then does a diff between two XML files (for example, one stored for the most recent release, and the one currently in your working tree), and flags up any forwards- or backwards-incompatibilities. A backwards-incompatibility, as far as dbus-deviation is concerned, is one where existing clients will not work against new versions of the D-Bus service, for example because a method they use has been removed. A forwards-incompatibility is one where new versions of clients may not work against old versions of the D-Bus service, for example because they use a method which has been added in a new version of the API. Traditionally, projects care about preventing backwards-incompatible API changes, and don’t care so much about forwards-incompatibilities. dbus-deviation lets you set your desired stability policy. dbus-deviation has a spartan website, a git repository, and bugs are stored using Bugs Everywhere in git; contact me in the comments or by e-mail if you want to report something. API documentation is available for the Python libraries underpinning it, which provide an AST and diff methods for D-Bus APIs. To get using it, follow the instructions in the README file! All feedback is very much welcome. One area I feel is still a little awkward is how dbus-deviation integrates with make dist — it forces use of a pre-push git hook to update the remote git-notes for the API signatures of newly pushed release tags. That needs to be set up by each developer who releases a project (using make dist) — any suggestions for improving this are welcome. API stability checking for GIR APIs, perhaps? This one needs some more work. This entry was posted in General, GNOME and tagged API stability, Collabora, D-Bus, dbus-deviation, Make on June 1, 2015 by Philip Withnall. Having just spent 7 weeks in Honduras, working and travelling, I thought it might be useful to document some of the things I’ve learned about the country. In my experience, Honduras has three distinct areas: the north (Caribbean) side where English is spoken moderately commonly, and many people go to learn to dive (especially on the Bay Islands); the three major cities (Tegucigalpa, San Pedro Sula and La Ceiba) where tourism infrastructure is practically non-existent, pollution is high and crime is high; and the rest of the countryside, which is pleasant, safe (for the most part) and has little tourism infrastructure. I spent 5 weeks in the capital (Tegucigalpa) and saw the bad side of Honduras. It is not a safe city to walk around, even in the richer areas, so you have to drive everywhere. I hadn’t previously realised how much I value being able to walk the streets and go where I please without probability of being robbed at gunpoint. Despite its security problems, Tegus was a reasonable-ish place to be. It has all the amenities of a big city — clubbing, for example, there is just as grim as in England, except with more Latin music. There is nothing for tourists to see, and they should only use it as a transport hub (since it has one of the country’s two major airports, and is a major bus terminal) or as a base to explore the much-nicer Valle de Ángeles, La Tigra national park, and Comayagua nearby. Tegucigalpa demonstrates the two major problems which Honduras suffers from: a huge imbalance in the distribution of wealth, and endemic corruption in government and the police force. These have knock-on effects on everything else. The rich live in enclosed neighbourhoods with high walls, barbed wire, electric fences, and armed private security. They drive luxury 4×4s and have lives which would be considered privileged in Europe. The poor live in shacks which line the roads and are stacked up the hillsides. There is a huge amount of gang crime: it seems that most of the drugs passing from South America to the USA come through Honduras. This gang crime contributes hugely to Honduras’ murder rate, making it officially one of the most dangerous countries in the world — although if you’re not involved in a gang, you’re as safe as in other Central American countries. A lot of this crime goes unpunished, both because the police are unable to tackle the gangs, and also because they’re corrupt. It is the army which enforces the law here. The Bay Islands are completely different. 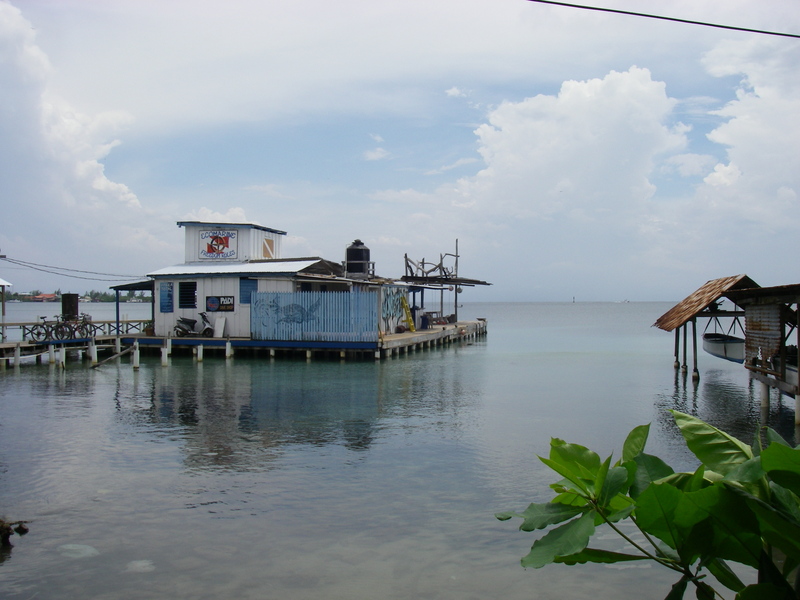 I spent a week on Utila, and it was a safe, friendly place, quite different from Tegucigalpa. Its summer climate is hot (30?) and humid (up to 80% relative humidity, with very little wind), which I found unbearable at times. Still, it is easy to get to, has excellent diving opportunities, and caters well for someone who wants to party every night. It’s quite drug-friendly. The rest of the country is mostly small villages and farmland. There isn’t much tourism infrastructure, but travel is easy and cheap on ‘collectivo’ and chicken buses (old, reappropriated US school buses; less gaudily decorated than in Guatemala). Most villages don’t have much to offer other than colonial architecture and old churches (and a lot of auto repair shops). 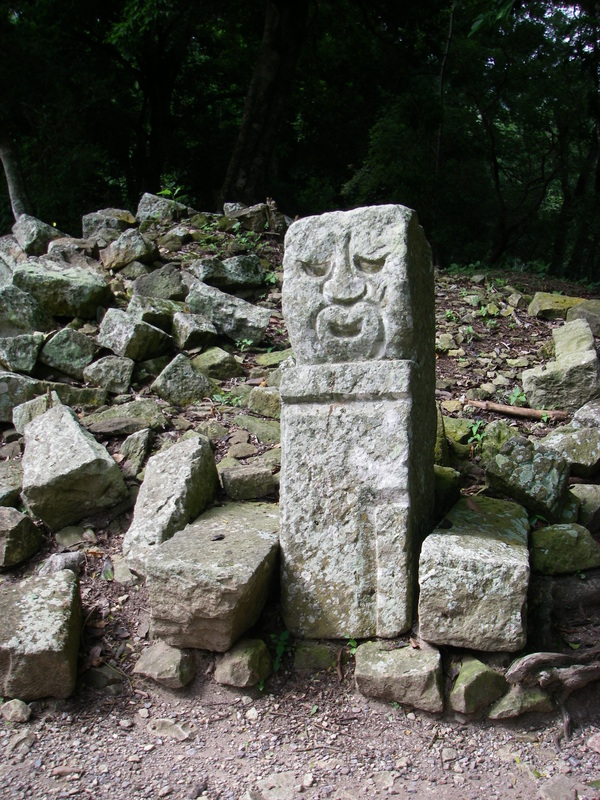 A few are more popular: Gracias, Lempira; and Copán Ruinas. Gracias has more quaint architecture than most places, and is next to Celaque national park, home of Honduras’ tallest mountain (Cerro Las Minas). Worth a visit if you like cloud forests, bird watching or hiking in general. Summitting Cerro Las Minas normally takes two days, but an experienced (and fit — it’s a steep mountain) hiker can do it in 7 hours. Copán Ruinas is the gateway to the country’s Mayan ruins, which are definitely worth a visit. Very well preserved hieroglyphics, and lots of wildlife (including a Macaw breeding programme). If you visit Copán Ruinas, seeing the ruins will take half a day, and there is little else to do in the town unless you plan in advance with a local tour company to do a trek or horse ride. I didn’t, so I don’t know what they’re like. Infrastructure is what Honduras lacks. Its roads are full of potholes (leading to its infamous crazy driving), there are frequent (roughly once a week) power outages and internet outages. None of the tap water is potable and drainage often runs straight onto the street (which in turn expedites damage to the roads). Building and maintaining infrastructure in such a mountainous country is tricky, but it’s necessary. If you can afford it, hire a car or motorbike (the latter are incredibly popular here). Having your own transport gives you a lot of freedom and safety. Get a vehicle suited to off-road driving: even if you don’t end up on a dirt track (which is quite possible if one of the few major roads is closed due to landslides), there are nasty speed bumps throughout the country which chew up cars with low ground clearance. If you can’t, use collectivo buses, which are safe and, while the routes aren’t listed anywhere online or on paper, generally follow major roads. Any local will know about them. They run very frequently. Find out which areas of a city are considered safe, and which aren’t. If you stick to the safe areas and use common sense, everything will be fine. If you go to an unsafe area, you’re likely to be robbed or kidnapped. For example, even the locals in Tegus don’t venture to Comayaguela. 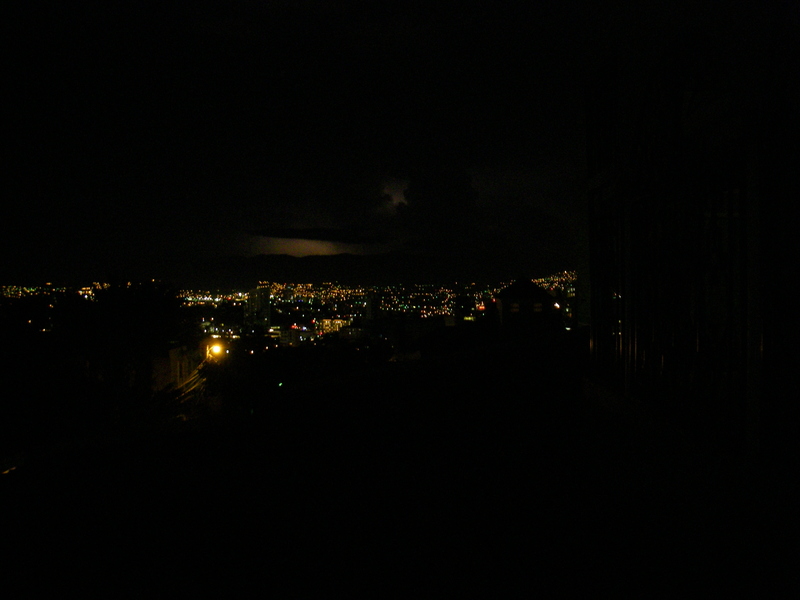 The hotels aren’t always in the safe areas, especially in Tegucigalpa — definitely avoid anything in the Comayaguela area. Don’t plan to do much hiking. It’s not a particularly popular pastime here, so while there are many ‘national parks’, they mostly exist to protect the cloud forests. There are some nice trails in some (for example, La Tigra and Celaque), but don’t expect too much. If you’re interested in birds, however, Honduras is supposed to be pretty good; there are hotels dedicated to bird watching around La Ceiba. If you go to the Bay Islands to dive, have a contingency plan in case of illness (which would prevent you from diving). When I was there, several people I knew got colds and ended up doing absolutely nothing for a week until they got better. Don’t try and plan a tight itinerary in advance, as unexpected transport problems might throw it off. Internet access is easy to come by in Honduras (especially 3G), so make things up as you go along. Factor in plenty of time for making travel connections, as few of the bus times are synchronised. Aside from touristy places (like Copán Ruinas), Honduras doesn’t do European-style hostels. You’re going to have to look at hotels, but there are cheap ones. Similarly, don’t expect to send any postcards. In my experience, they’re hard to find, and harder to send. Post offices are like gold dust. Don’t trust the websites describing most bus routes in Honduras (apart from the huge companies like Hedman Alas). Even medium-sized Honduran companies don’t do websites well, or keep them updated. Phone the bus company up instead, or ask a local. This entry was posted in General and tagged Bay Islands, Celaque, Central America, Comayagua, Copán Ruinas, Gracias, Honduras, La Ceiba, La Tigra, Tegucigalpa, travel, Utila on September 28, 2013 by Philip Withnall. 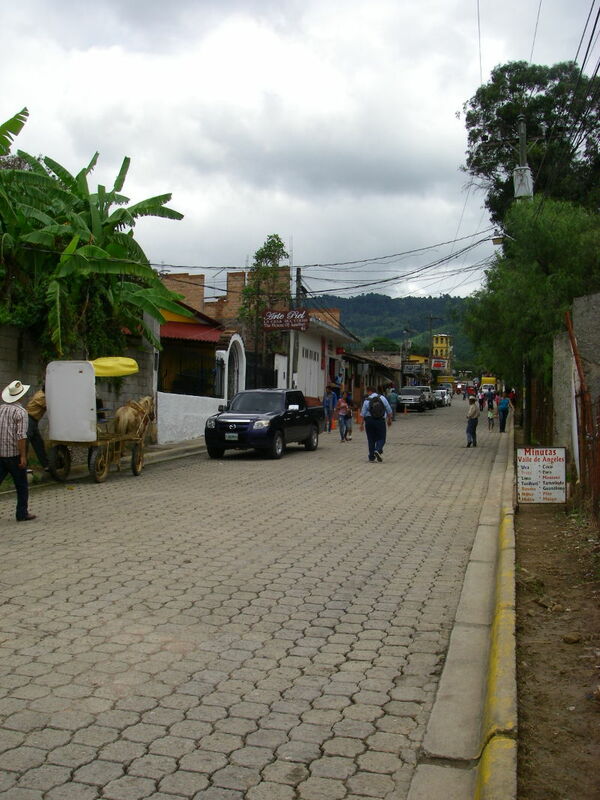 One of the main streets in Valle de Ángeles, a village near Tegucigalpa, the capital. I’ve been lucky this summer to spend 7 weeks in Honduras, working on the OLPC deployment for primary school kids here. I’ve been training the local team (part of Educatrachos, a government- and IADB-funded education project in Honduras): teaching them Python, how to create activities for Sugar, and some Unix server administration magic. The deployment itself is impressive. Over the past two years, they’ve delivered 40?000 laptops to 400 schools. A lot of the work has been in providing infrastructure (power and internet): this is tricky given Honduras’ hugely irregular terrain. A lot of the schools are using satellite internet, which is inherently affected by the weather. Despite these obstacles, the infrastructure has been in place for a while and is working nicely. Showing a hint about which cells to sum in Pascal’s triangle. The focus is now moving towards producing and updating educational resources for the laptops. That means creating new Sugar activities and refreshing and redeploying existing resource collections. This is what the bulk of my time has been spent on: training the team here in how to create activities and collections, starting from basic Python and working upwards. It’s been tricky (because of my poor Spanish if nothing else) but the team have tackled the learning with enthusiasm. I hope to see new Sugar activities on the Educatrachos gitorious page soon! 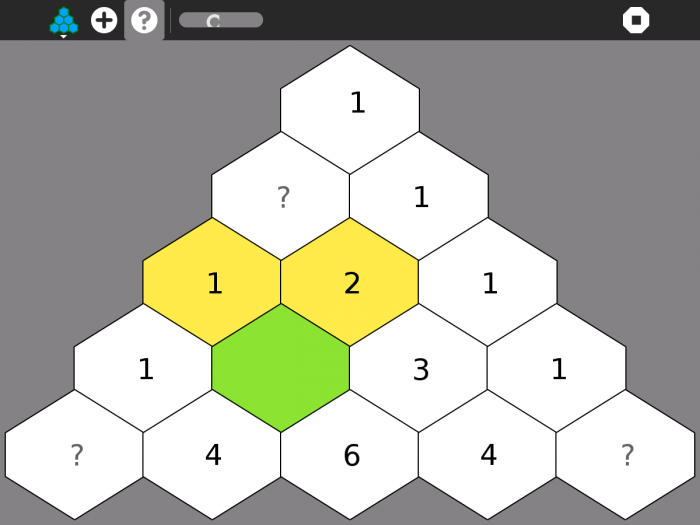 So far, we’ve produced one new Sugar activity: a Pascal’s triangle game. We’ve also published the training materials I used for teaching Python and Sugar. They’re available in English and Spanish, although the Spanish translation is pretty patchy (my fault!). What remains to be seen is how the project will evolve after the change of government from the upcoming Honduran elections. Tomorrow is my final day in Tegucigalpa: on Friday I leave for two weeks of time off, travelling around the country to end a fun summer of travelling to celebrate graduating from university after four years. Thanks to Raúl Segales, Walter Bender, Daniel Drake and Martin Abente for answering my silly questions as I dived into Sugar! This entry was posted in General and tagged Educatrachos, Honduras, IADB, OLPC, Pascal, Python, Spanish, Sugar, travel on September 12, 2013 by Philip Withnall. I just spent a few days overhauling my aging mountain bike. It was an interesting (and at times frustrating) process, partly due to this being the first time I’ve done anything like it, and partly due to the apparent lack of maintenance manuals for the bike or many of its components. I thought it might be useful to put together a brief Marin Bobcat Trail maintenance manual, in the hope it’s useful to someone else who owns the 2008 or 2009 edition of the bike. I’m new to this, so it’s probably a laughable effort in cycling circles, but it’ll be useful to me next time I overhaul the bike anyway. Feedback welcome at the address given in the document! This entry was posted in General and tagged cycling, mechanics on April 7, 2013 by Philip Withnall. Just over a week ago everyone’s favourite Xorg replacement, Weston, gained a frame buffer backend I put together as part of some university work. It was remarkably easy to write, since almost all of the code already existed in the DRM and RPI backends; I just needed to hook pixman up to /dev/fb0 and everything worked! Weston’s code base was a pleasure to work on. Hopefully someone stuck on a frame buffer somewhere finds this work useful. Since I did this work, I also got the frame buffer backend working on FreeBSD (as part of the same university project), but haven’t had time to update, tidy up and submit my patches yet. They’re pretty hacky in (many) places. 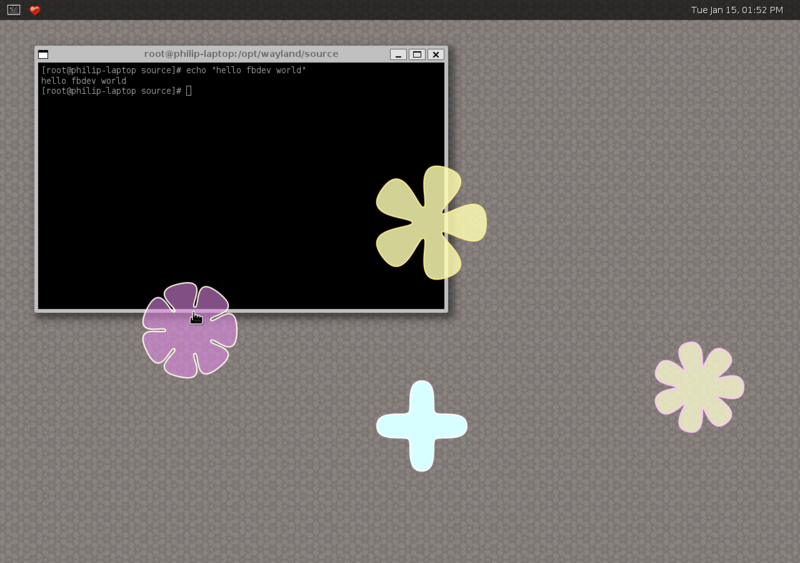 Weston running on a Linux frame buffer, taken on 2013-01-15. This entry was posted in General and tagged frame buffer, FreeBSD, pixman, university, Wayland, Weston, Xorg on February 18, 2013 by Philip Withnall.